We are proud of our hard earned reputation, and will not jeopardise our good name by making misleading, or aspirational claims that we cannot meet. For this reason we outline in this section the type of work we are prepared to undertake. If your own project type is not shown on our website, please either give us a call so that we may discuss your specific requirements in more detail. The best Gardens and Driveways invariably strike a happy balance between paving, walling and planting. Time spent carefully considering paving will not only provide an attractive area to sit out and enjoy but help to show off the rest of your garden and drive to the best advantage. Gone are the days when you were limited to grey, square concrete flagstones. We are more than happy to offer our 25 years of knowledge and experience when it comes to blending or contrasting paving with house and garden styles, simply ask us at the time of your free quotation. Darren and his team provided a first class service, advising and helping us tweak our vision, delivering an excellent finish. The team identified edging stones to match the paving we chose to finish off the look that we wanted. Strongly recommended. A really good looking drive in good time (despite snow!). Very courteous to us and our neighbours and the place was left spotless. A plumber and electrician they recommended were great too. Darren, Dave, Paul and Mick carried out an excellent job on our drive. The service and standard of workmanship was excellent throughout from quotation to completion of the work. Good advice was offered during the preparation and laying of the paying ensuring the best possible design for our drive. Site team were excellent and made best effort to minimise disruption. Helpful suggestions regarding final layout resulted in an excellent job. Workers were not only punctual but extra nice towards me and my husband, including Darren himself. 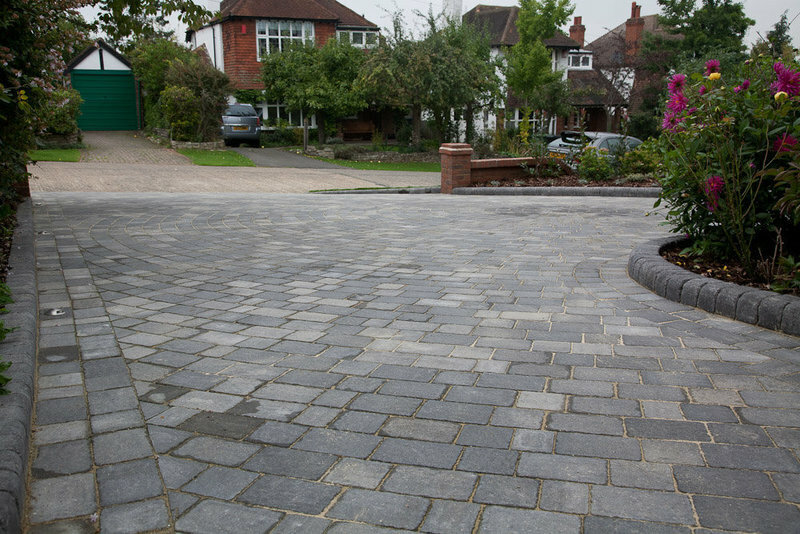 Would highly recommend the company if you are looking for a high standard driveway as the end result. Massive thumbs up! Complete overhaul of new driveway - - New driveway put down - 2 x new brick walls built - new steps and porch landing built The guys on site were polite, punctual, gave professional opinion when encountered any problems, listened to any concerns and were considerate of them I.e. access into the house whilst the work was on going. The craftsmanship is excellent - the guys gave suggestions on how to improve the look of the drive with the finish of the brickwork and laying patterns of the block paving - I'm glad we listened as it looks great and we have lots of compliments of how good it looks! We were told at the start of accepting the quote there was an extended lead time but definitely worth the wait!!!! High recommend to anyone! Punctual, professional, perfectionists! A great job guaranteed. This was the second time we used Plum paving and the team. Firstly for a driveway and most recently for a landscaping patio job. In each case the land was dug up, levelled and protected with weed killer before our chosen blocks and slabs were laid. Each time the job was done to a very high standard with the team arriving on time every day and leaving our home in a tidy state at the end of the day. I had a front wall built by this company in January and was very pleased with the job that Darren and his lovely team did. They haven't needed to come back for any remedial work and I would recommend them to others. Replace front lawn and driveway with mix of gravel and permeable brick to create a parking area that also able to fully soak away all rain. Good finishing touches and care taken, and we love looking at it, as well as parking easily on what has turned out to be one of our best investments in our house.